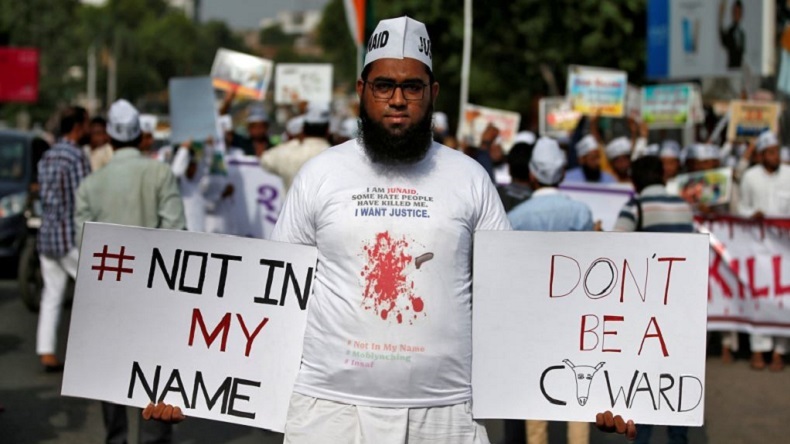 In yet another case of hate crime, a 70-year-old man was brutally thrashed on suspicion of selling a cow to a Muslim man in Uttar Pradesh's Balrampur district. The victim has claimed that he was going to see a doctor at the nearby village as his cow was sick. In yet another case of hate crime, a 70-year-old man was brutally thrashed by cow vigilantes in Uttar Pradesh’s Balrampur district, a report by India.com said on Monday, September 3rd. The victim identified as Kailash Nath Shukla was reportedly carrying an ailing cow to his nearby village for treatment when he was assaulted by cow vigilantes. A group of men were infuriated after a rumour was circulated that the victim was taking his cow to another village to sell to a Muslim man. Though the victim informed the men that he was a Brahmin and was only carrying the cow to the see a doctor for medical treatment. The men did not ponder over the victim’s story and started beating him brutally, they also hurled him into a gutter and shaved off the head, blackened his face and paraded him in the village, as reported by India.com. Following the incident, the victim went to a nearby police station to file a complaint against the accused. However, the police denied filing a complaint against the accused. Media reports say that a report was filed only after the intervention of a senior officer. The incident comes after innumerable cases of mob lynching, which have taken place in many parts of the country, including Jharkhand, Uttar Pradesh, Haryana. Delhi, Madhya Pradesh.